The Big Train Wreck is a four piece tight knit group. 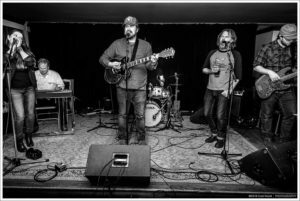 Together they are bringing you melodic folk, combined with a swirl of blues, shake in some honky-tonk, and a dash of rock. Hand clapping, toe tapping, head swaying to and fro. Covers and originals give you all the comforts, with new experience. 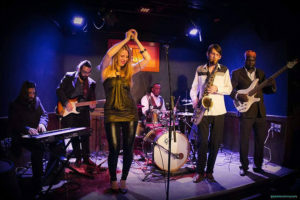 Compared to the likes of “Marvin Gaye”, “No Doubt”, and “The Roots”, Nile Groove, an accomplished and culturally diverse 6-piece Ottawa-based band has been grooving the music scene since its 2012 beginnings with its distinguishable fusion of pop-reggae and funk music combined with elements of soul, jazz, rock, and disco. With original releases including their 2017 full-length album “Insatiable”, their 2017 single “Why It Gotta Hurt So Bad”, their 2016 full-length debut album “Uncovered”, and their 2014 single “Without You”, this versatile groove machine captivates audiences live and on international airwaves with their infectious original music and fresh renditions of classic covers. Growing up, once-rapper Nepean kid Matty ‘Graven’ McKechnie was a massive teen listener of J Mascis (Dinosaur Jr.), Stephen Malkmus (Pavement), Bruce Springsteen, Led Zeppelin, Joni Mitchell, Anne Murray and old school hip-hop. Having played in suburban garage bands since his mid-teens, he began to adapt and progress with the shifting musical terrain around him while still staying true to his idyllic influences. Graven’s songs are truly atmospheric, raw, passionate, personal and rare – and with a wild, rotating and circus-like band of hyper-talented individuals supporting and accenting him, his music generates interest and intensity. His 2017 album ‘Jaybird’ released three singles (All Roads, Big Lake Sky Summer, In The Woods Of Me) that all received repeated radioplay on CBC, CKCU, CHUO, CKDJ and Live 88.5 FM. His latest single ‘Hymnal’ was produced and engineered by Jim Bryson and has received play on CBC Radio One and made four different ‘Best Of 2018’ lists on CKCU FM. ‘Calling All Friends’, the opening lyric to Ottawa indie band Welcome the Ghost’s inaugural release, perfectly encapsulates the makeup of former Amos the Transparent guitarist Mark Hyne’s new project. Recruiting long time friends Scott Peters (guitar), Erik Kristjansson (bass), and former bandmate Chris Wilson of Amos the Transparent (drums), Welcome the Ghost delivers a raw, yet emotional sonic experience influenced by artists such as Death Cab for Cutie, Pedro the Lion, R.E.M., and countless others. 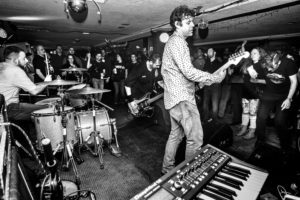 Armed with bits and pieces of musical ideas that had accumulated over the last 15 years along with contributions from his friends and bandmates, Hyne locked himself in a Cabin in Deleage, Quebec for 7 days – with no human contact outside of a brief brainstorming session with bandmate Scott. He emerged with demos for the songs on that would become the band’s inaugural release; “What’s Left of the Rest of Us”. The record was mixed by Amos the Transparent frontman Jonathan Chandler, mastered by Brian Ruckstuhl of Shoebox Recording Studio, released in June 2018, and is gaining traction on college and university radio stations across Canada. What happens when a talented folk duo from Ontario invite a classically trained violinist/front woman, and a rock influenced rhythm section to play music together? RedFox is a five piece indie-folk band based in Montreal, Quebec. 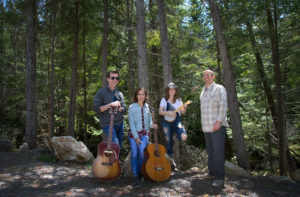 When the trio of Daphnee Vandal, Jono Townsend, and Tim Loten first met in September of 2017 they rehearsed as an acoustic folk and bluegrass band. After months of honing their sound, and the addition of hard rock drummer Sam Neumann as well as bassist Sam Robinson, their sound has been transformed into the epic high energy indie experience that it is. 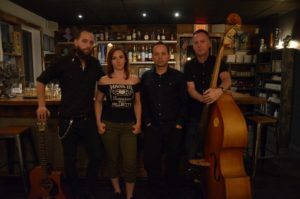 An ensemble lead by Daphnee Vandal’s dynamic voice backed by bass, drums, guitar, fiddle, and banjo, RedFox retains their acoustic roots origins, while exploring more electric sounds. 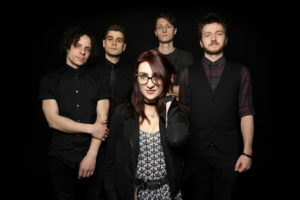 The group can trace their influences back to bands such as Punch Brothers, Mumford & Sons and Paramore. 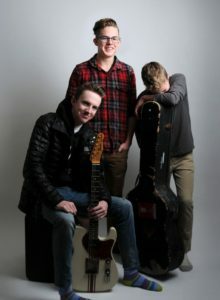 High school hasn’t been all that bad for Sons of Gord, a band of brothers from Chesterville, ON, who are playing their way through their teens. 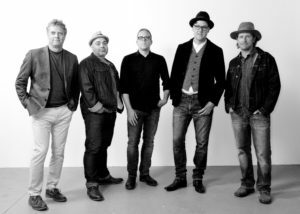 The combination of traditional and rock music they are growing up with can be heard in their wide variety of covers, while influences of folk rock bands such as the Avett Brothers, Lumineers and the Jayhawks are the drive behind their energetic originals. Between the three of them they play fiddle, guitar, mandolin, bass, accordion and keys, and have been known to pick up just about any other instrument they might find while touring the region in their dad’s Jetta wagon. Some things are just meant to be. 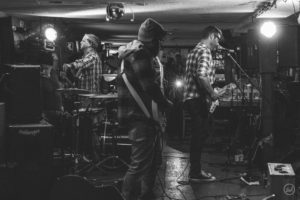 Five musicians from Ottawa, Canada somehow found each other in between work and family commitments and discovered some untapped creative fire. The result has been critical and radio acclaim and an initial record release — ‘Radiance’ — that continues to receive considerable airplay as they put the finishing touches on their second release, which will be available in early 2019. Sean Oliver, formerly ‘Uncle Sean’ of Uncle Sean and the Shifty Drifters, abandons moniker with August 2018 LP release of Songs Left to Sing (Independent). The album bridges his traditional americana vocals with contemporary folk-rock instrumentation to create the modern honky tonk sound that has become his signature.